Are you looking for a delicious cheese recipe with a difference? If you are, you’ve found it! Here’s my pasta salad with walnuts and gorgonzola cheese for you to enjoy. 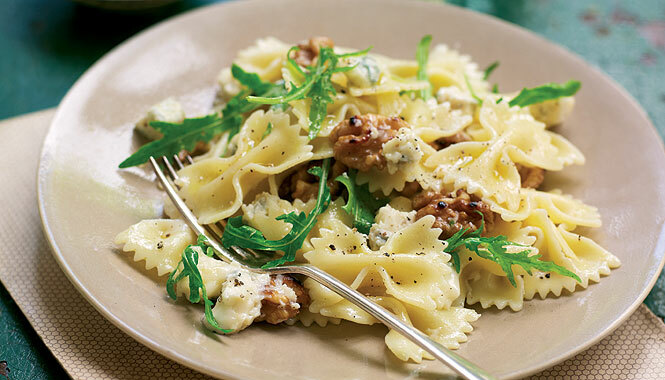 Feast your eyes on the finest pasta salad with walnuts and gorgonzola cheese! It’s straightforward and fun to make this great dish. Simply follow the instructions below and get the perfect result. Pour 4 litres of water into a large saucepan and bring to the boil with 2 tablespoons salt. Cook the pasta in the large saucepan of boiling salted water until al dente. Drain the pasta through a colander and rinse under cold running water immediately, to stop the pasta cooking. Once cold, drizzle with oil and leave on the side to drain for 5 minutes. Give the pasta a good shake every minute or so. 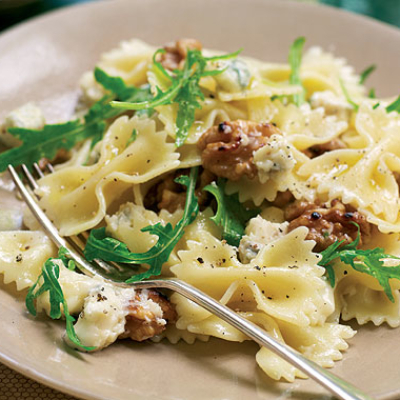 Meanwhile place the Gorgonzola, walnuts and rocket in a large bowl. Pour over 8 tablespoons of extra virgin olive oil and the balsamic vinegar. Season with salt and pepper and mix thoroughly. Add the pasta to the bowl and gently toss everything together to allow the flavours to combine. Cover with cling film and leave to rest at room temperature for 5 minutes. Stir every 2 minutes. Serve immediately or keep in a sealed container in the fridge for the following day. Do not keep longer than 48 hours and always eat it at room temperature. 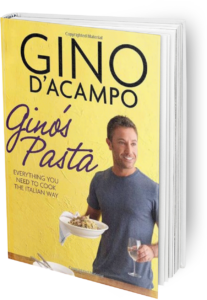 Once you’re done, simply sit back and enjoy your pasta salad with walnuts and gorgonzola cheese and don’t forget to check out other great authentic Italian recipes including great antipasti recipes, Italian pasta recipes, Italian soup recipes, Italian beef dishes and authentic pizza recipes.